CHICAGO, IL (December 30, 2016) – We asked Covenanters to share some of the books published in 2016 that they would recommend to others. These were their suggestions. If the people who responded added comments, we’ve included those. The Rose and the Dagger by Renee Ahdieh, a young adult title. Diane Adams, , who attends International Falls (Minnesota) Covenant Church – and also happens to be a librarian – recommends reading the 2015 book The Wrath and Dawn first. Liturgy of the Ordinary: Sacred Practices in Everyday Life by Tish Harrison Warren. “She’s a fresh new author with a down-to-earth voice and a high regard for church rhythms.” – KD Wagenius, a member of Hope Covenant Church in St. Cloud, Minnesota. 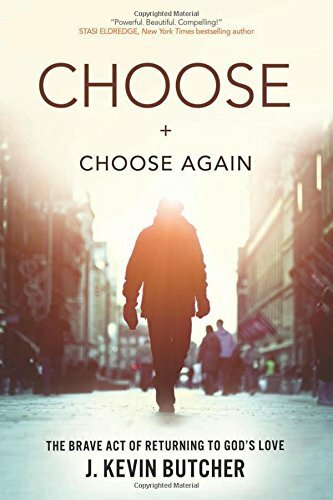 Choose and Choose Again: The Brave Act of Returning to God’s Love by (Covenanter) Kevin Butcher. An excerpt was featured in the Companion. 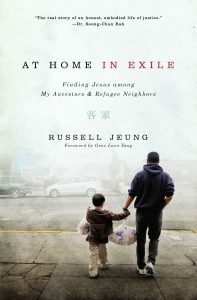 At Home in Exile: Finding Jesus among My Ancestors and Refugee Neighbors by (Covenanter) Russell Jeung. “This is a great memoir by a Covenanter that includes the story of New Hope Covenant Church in Oakland. Russell weaves his ancestral story of Asian exiles, Jesus’ outsider status, New Hope’s neighborhood, and sociology. – Brian Hui, Great Exchange Covenant Church in Union City, California.